India has plunged into a homemade crisis over the past few weeks after the government banned the country's two biggest bank notes. Banks are short of cash, low earners are struggling and the economy has been hit. If you're just catching up to the story, here's what you need to know. 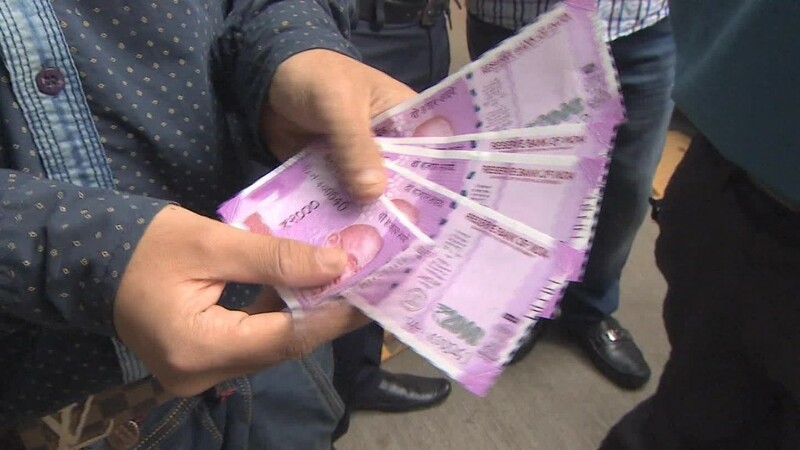 In an unscheduled speech on primetime TV on Nov. 8, Prime Minister Narendra Modi declared that all 500 and 1,000 rupee notes would cease to be legal tender just four hours later. The abrupt move stunned the South Asian nation, with over 23 billion notes -- or 80% of the country's cash -- suddenly rendered "worthless pieces of paper." Modi's bombshell was followed about an hour later by an announcement that a redesigned 500 rupee note, and a new 2,000 rupee note, would be issued. Indians were given until Dec. 30 to trade their old rupees for the new cash, or deposit them in into a bank account. Then, on Nov. 24, the government banned cash exchanges except at a few Reserve Bank of India branches. 2. Why did Modi take such a big gamble? It's all about cracking down on "black money," illicit funds earned from corruption or tax evasion and stashed away in cash. Modi also said the ban would help combat fake currency. India loses hundreds of billions of dollars in unpaid tax every year, and only about 2% of Indians pay any income tax at all. But in a country where 90% of transactions are conducted in cash, the initiative has caused huge disruption. Officials have urged people to bear the short term pain, arguing it will help the Indian economy in the long run. Related: Want to beat India's cash crunch? Get married! 3. What were the consequences? Long lines outside banks and ATMs. Millions of Indians have been waiting for hours to get their hands on cash they can still use. When they get to the front of the line, there are limits on how much they can withdraw. There's a shortage of the new notes, and working ATMs. Those that are operational need to be refitted before they can dispense the new notes -- a process officials say will take a couple of weeks. Until that is complete, most ATMs are stocked with 100 rupee ($1.50) notes, and are emptying as fast as they can be filled. People who do get their hands on the 2,000 rupee ($30) notes are finding it hard to spend them, because few small traders have enough change. 4. How has India reacted? The decision was widely hailed as a "bold move" on Indian social media, and seems to have widespread support even among those standing in line. Opposition politicians are furious, however. The first two days of India's winter session of parliament were marked by protests and heated arguments over the note ban. And public anger has begun to rise as low earners, and farming communities, see their incomes plunge. The vast majority of Indians don't have bank accounts and they rely on being paid cash to meet their daily needs. Modi has urged the public to give him until the end of the year to get things back on track. He says the cash swap is part of a bigger strategy to modernize India's rapidly growing economy. The government has already been forced to make several concessions, allowing institutions such as hospitals, pharmacies and gas stations to accept the old notes until Dec.15. Officials continue to insist that the frustration and panic will die down once banks have completed the switch to the new notes.